A fantastic day was had today at the Spring Lamb Tournament. 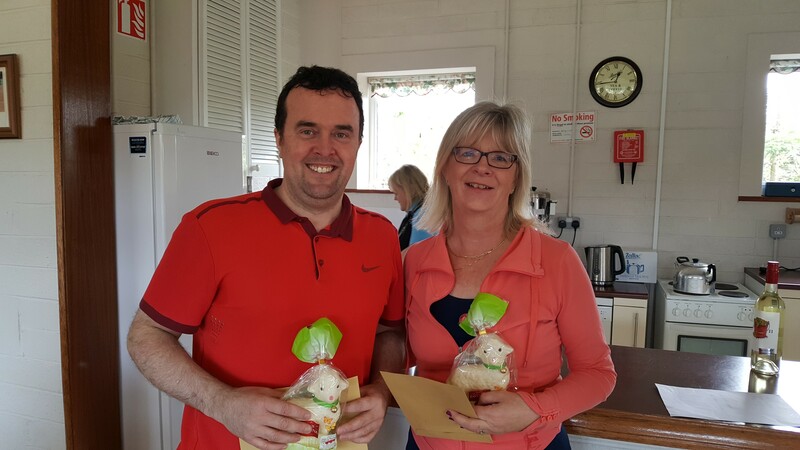 Well done to Mark Conway, Geraldine Fitzgerald, Johann Pieterse, Gemma Nash & Martina Kinch, who all won Spring Lamb voucher prizes from our sponsor, Brady’s Butchers. Well done also to Terry Packham who won the Hamper. After playing the tournament, all the players enjoyed a lovely lunch. Many thanks to Gemma, Jo, Colette and anyone else who helped to make this such a successful club event. This entry was posted	on Saturday, April 15th, 2017 at 4:19 pm	and is filed under Uncategorized. You can follow any responses to this entry through the RSS 2.0 feed. Both comments and pings are currently closed.